Selections may vary. Excludes Video Games. Free item must be of equal or lesser value. 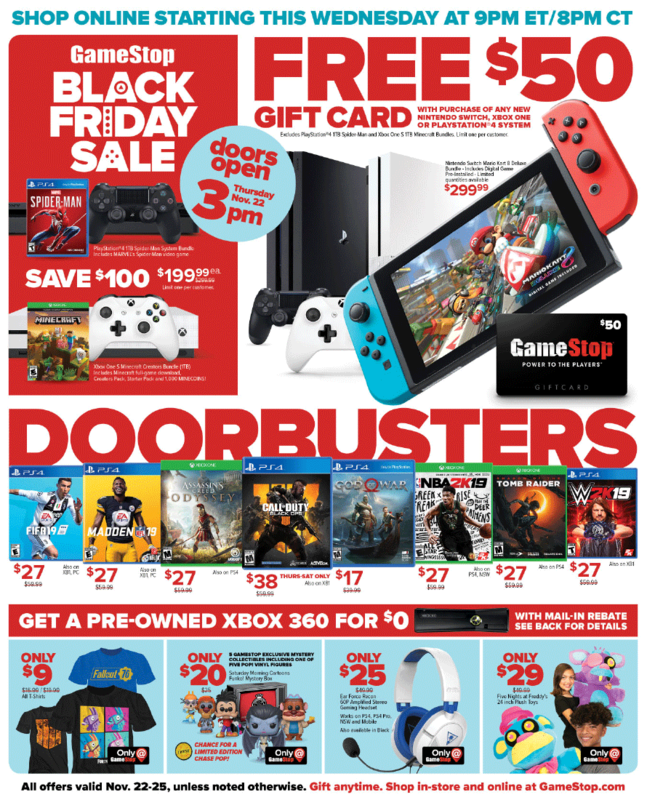 This Black Friday, GameStop is offering great deals on the best gaming gifts for everyone on your list that loves to play the latest and not-so-latest titles. The specialty store is offering deals on Xbox One and PlayStation 4, as well as discounts on other systems. Shoppers can find new, refurbished, and pre-owned options. There are numerous deals on video games, gaming accessories and even toys based on video game characters. On Thanksgiving, GameStop stores will open at 3pm and stay open until 10pm. Stores will re-open at 7am on Black Friday morning, and stay open until 10pm.